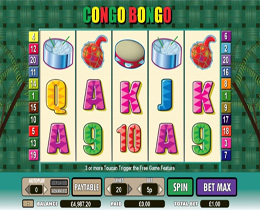 Congo Bongo is a Video slot which combines the sounds of Jamaican reggae and the bongo drums. This combination creates an amazing tropical sound, and together with the bright coloured icons it really completes the scene that is depicted across the reels. This animated game with its very rewarding prizes will have player occupied for hours.